WITH the festive season fast approaching, there’s no better way to get in the Christmas spirit than by enjoying a Russian ballet at St David’s Hall. Here are 10 reasons why they are unmissable! Christmas is the most magical time of year especially for children. In 1891, Tchaikovsky based The Nutcracker’s music around a sinister short story by German author E.TA. Hoffman, which definitely wasn’t for kids! It evolved into the family fun as we know it today, and the children won’t believe it as presents spring to life before their eyes! Modern day interpretations of The Nutcracker are also perfect for children as it allows them to drift away into a fantasy world where anything is possible. Be prepared to travel to the Land of Snow where the treacherous Mouse King and his army battle the heroic Nutcracker Prince. Who will win the fight between Good and Evil? 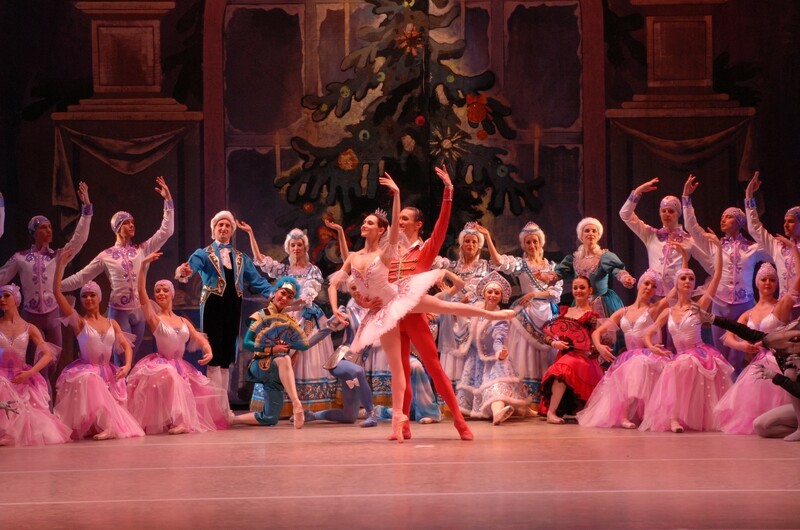 Coppélia is a charming and funny production, which is ideal for first-time ballet-goers. It is once again based upon an E.T.A. Hoffmann short story entitled Der Sandmann (The Sandman), published in 1815. The ballet premiered in 1870 and features sparkling choreography and the animated score of Delibes. Christmas is all about love, and Coppélia tells the light-hearted tale of confused lovers of Franz and Swanhilda, plus a beautiful doll made by the eccentric Dr Coppélius. Will this charming comedy of errors and mistaken identity have a happy ending? Swan Lake is perhaps the most desired to see performed live especially as it features Tchaikovsky’s instantly recognisable score. If you’ve never experienced a ballet before, then this is the one to see! Odette is a beautiful princess, who is turned into a swan by a sorcerer’s evil curse. Only love can reverse the spell. Will Odette find her handsome prince? Tchaikovsky originally wrote Swan Lake to entertain his nieces during the summer of 1871 and it was only when the Imperial Theatre in Moscow commissioned a full-length ballet that he remembered he had already started one. Swan Lake went on to become the greatest romantic ballet of all time! The dual role of the white and black swans is one of ballet’s most unmissable technical challenges. Some say it’s the ‘Holy Grail’ for ballerinas and to be cast as the two main characters is perhaps the highest honour for a ballet dancer not least because it’s so difficult to perform! Incredibly, Swan Lake didn’t become popular until two years after Tchaikovsky’s death when the masterpiece was deservedly revived. It’s enough to just want to come and see the exquisite costumes and ornate set designs at St David’s Hall. Yet, the majesty of the ballroom and the moonlit scene where the swans glide in perfect formation in Swan Lake is truly a sensational sight to behold! It’s the season of goodwill and St David’s Hall would like to spread the festive cheer with great prices for the whole family to enjoy our Christmas ballets! Children’s tickets for Under 16s are 50% off all performances, starting at just £7.25* for matinees and £7.75* for evening concerts. We can also offer an amazingly good value deal for two adults and two children Under 16 to attend any matinee starting at just £40*, and £44* for any evening shows. The acoustics at St David’s Hall are perfect for unamplified orchestral music so for scores as powerful as Tchaikovsky and Delibes, the music really raises the roof! Experience the tingle down your spine and the tears running down your cheeks at the finale of our three captivating ballets! Celebrate Christmas this year with these breath-taking ballets for the whole family at St David’s Hall! or at the Box Office on 029 2087 8444.